Most everyone is familiar with Champagne, Cremant, Cava, Sparkling Wine, Prosecco, or Franciocorta. But how many of us have had Sekt, or even know Sekt? Sekt is a sparkler from Germany, and usually made in traditional method (second fermentation in the bottle). Typically made with Riesling, it’s something that makes sense…any grape high in acid is a great candidate for a sparkling wine. Pinots Blanc, Gris and Noir can also be used. Today’s Thirsty though, will feature Sekt made from Pinot Noir. Andreas Bender is a young winemaker from Germany, making wine since he was 15 year old, from grapes in both the Mosel and the Pfalz. He is passionate about what he does, understanding that only fantastic raw material will make unbelievable wines. I love the colour of this wine! 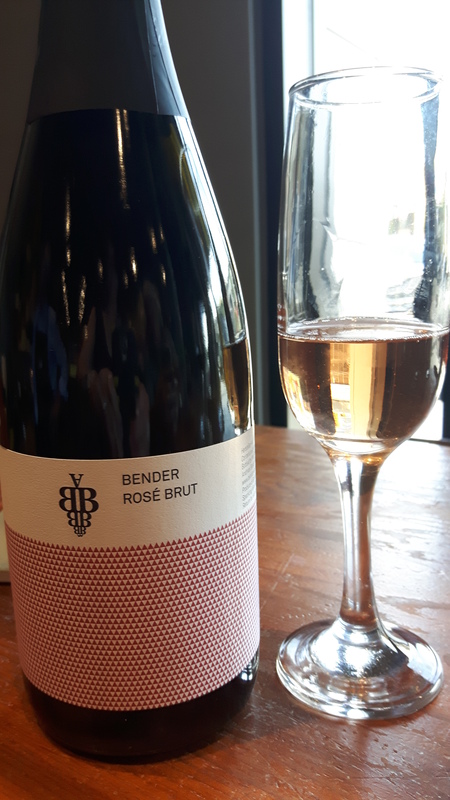 Almost a salmon pink, definitely a rosé brut wine, but not knowing that from the packaging in the dark bottle (and counting on the label!) Lots of earthy notes and steely minerality on these bubbles along with creamy fresh peaches, apricots and strawberries. Hints of straw and mushrooms, this Sekt really had everything going for it. For those on a tighter budget, and can’t afford a Champagne, this would be a great option! Same method, same Pinot Noir, but different terrior and different country, yet no less delicious! On the shelf for $32.95, one cannot go wrong with this bottle of bubbly! Prost! This entry was posted in Thirsty Thursday, Varietals, wine and tagged bubbly, Germany, Mosel, Pfalz, Pinot Noir, Sekt, Traditional method. Bookmark the permalink. I have heard of Sekt. My wife is from Germany so that’s the only reason I would know something like that.